We have reached the 11th bread in the Bread Baker's Apprentice Challenge. This is where my family wanted to be. From E to P there are no additions of fruits in the breads. I live in a houseful of people who don't like baked raisins or cranberries. We are already trying to figure out who we can gift with the Panettone. I almost skipped this bread. It looks a lot like the Artos and the Challah, melded together. But a challenge is a challenge and I wanted to try the braid on top of braid. It is a beautiful looking loaf. We are going to give it away to a hungry home. A home that is not tired of egg breads. And I am off to the gym. 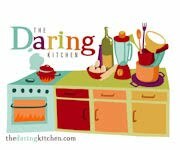 Natashya, at Living in the Kitchen with Puppies is hosting July's Bread Baking Babe's challenge. She suggested Sukkar bi Tahini, a Lebanese street bread. This recipe is filled with sugar and tahini. I was intrigued and headed off to Whole Foods to buy some Tahini. At 12.99 a huge jar, I decided to fill my flat breads with something else. Since then I have learned that several people make their own Tahini. Grain Doe has a lovely post which included her Tahini making. I'm going to give it a try someday. I decided to make a walnut paste. I roasted some walnuts, added some olive oil, sugar and cinnamon. Blended it in the food processor. It looked like a good substitution. It was a fun dough. Playdough for grownups. Divided into six sections and rolled out to 5 x 10 rectangle. How do you measure? My middle finger is three inches long. The tiles on my kitchen wall are six inches and my favorite rolling pin is eleven inches. When in doubt, pull out your ruler. The filling was sprinkled over the dough, it was formed into a spiral, squished with the rolling pin and baked. I was trying to figure out what to bake for Bread Baking Day. July's challenge is sweet breads thanks to Hefe und mehr. I have been making a lot of sweet breads. Filled with cinnamon and nuts. But sometimes you need a little tart in your life. Ina Garten's Lemon Cake is baked in bread pans. I'm hoping that this means that it qualifies. A large number of my family members like lemons. I had a refrigerator filled with them. At the exact moment, my husband and number one son were trying to fly the unfriendly skies. But honesty is not really a quality that is seen in an airport filled with angry, tired passengers. Luckily, my husband and son realized on their own that they had been handed a lemon. They were in Chicago. Chicago has a baseball stadium, teams were playing. They made a reservation for the next day, got a hotel room and went to the game. Meanwhile, I was left with a refrigerator filled with lemons and that nervous feeling that you get when your family is in the unfriendly skies. Baking helps... Knowing that my son loves all things lemon helped. In the Bread Baker's Apprentice, Peter Reinhardt says that this recipe is the best corn bread that he has ever eaten, that it doesn't get any better than this. I think that what you want out of your corn bread is incredibly variable from region to region, person to person. I really enjoyed the addition of the buttermilk soaked cornmeal. You have to plan ahead because you need to soak it for a day. It adds a nice texture to the bread. Once you have soaked your cornmeal, it is a quick bread. It was too sweet for my family. When I was adding the sugar, brown sugar and honey I was worried that it would end up a little sweeter than we like. But, I'm trying to try each recipe as presented. I would make this again, but decrease the sweeteners. Number one son is coming home for a few weeks. Or else he is going to stay stranded in the Chicago Airport, he missed one connection and everything else is booked. I've offered a number of alternative airports, none have flights available. I tried the cinnamon walnut bread again. It is an easy dough. This time, I rolled the dough out longer, 5 x 12 ish and got a nicer spiral with more of the cinnamon infused. When finished I dusted the top with the cinnamon sugar. I got some really nice pictures but I liked the one of ever hopeful Scout. The scent of this bread drives her nuts. Even when it is fermenting she is excited. The remaining teenager refuses to wait for the two hour recommended cooling time. She is certain that Reinhart lives alone and shares his bread with no one. You have to love the internet. You need to know something, you probably can find an answer somewhere on the web, whether it is reliable and valid, will depend on part on whether or not you care whether something is reliable and valid. I have an addiction to food blogs and food information on the internet. I frequently start with Epicurious when I am looking for new recipes. I peek at the New York Times and Washington Post Food sections from miles a way. I have several blogs that I follow. I can see what other people are cooking, and refresh my mind at the same time. However, sometimes it goes into overload. I had read about a group who were making all their bread for 2009. Although it is a little late to join, being July, I don't think that I could do it. First I would have to have my judges sign a contract that said that they would not increase their consumption rate if the bread was homemade and then I would have to add some recipes to my repertoire. I have never made hamburger buns. This little fact was sitting in the back of my culinary conscience, poking at me. There was a recent post on King Arthur's Blog about cheese burger buns, not really what I was looking for and then The New York Times did an article about the perfect burger and SmittenKitchen made them and said they were good. Enough to make me want to try them. One of my sons has been dropping hints about needing cookies. I have made Ranger Cookies so many times, I just can't bring myself to make them again. I have been looking at the blogs of some of the participants in the Bread Baker's Apprentice. The first 200 are found on a blog roll that Nicole of Pinch my Salt composed. Salt & Serenity recently made Skor bars, they looked delicious. The recipe can be found here Skor Bar Cookies. I book marked them and put them in my to do column. SmittenKitchen blogged about a lemon mint granita that she had made. I love lemon desserts, and in this heat, it seemed like a natural. In my back yard, I have enough rosemary, mint, oregano and bay to handle any recipe that I come across. The basil is not happy in this heat and the chives have succumb. And then, in the perfect storm, CPS asked us not to use our appliances between 3pm to 7pm to cut down on electricity usage. Somehow, I decided burgers were in order and now was the time to try a new burger bun recipe. And while they were rising, number one son's med refills needed to be sent to him, so why not seize the moment and make some cookies? Seemed like the perfect time to try the Skor bars. So, if we were having burgers and it is so hot, we might need a refreshing dessert and lemons were on sale. Maybe I was trying to avoid cleaning??? The Skor bars were made with Heath bars but they were delicious. They did not all find their way into the box headed to number one son. With one teenager still in the house, with an acute awareness that there is baking going on, did you ever think that all of the bars would be packaged and sent. The recipe is definitely a keeper. The buns were delicious, light, flavorful. The lemon mint granita was a great dessert. In my house, two of my children eat lemons. No added sugar. I let one of them, my daughter, flavor the granita. It was tart and refreshing. We have decided that we will have to make it again when Joe comes back to the fold. I know my judges and they don't like cooked raisins. This week's challenge is a lovely Cinnamon bread. Once you have completed it, you may never be able to reach for the loaf in the grocery store again. We have had a crazy week. My husband ended up with a four day weekend. We decided to update number one son's room. We are both skilled painters, I actually enjoy painting. Except ceilings... And the pergo commercials make it look so easy. Armed with our additional 10% off, we purchased enough pergo to do both boy's rooms. The painting was easy, tiring, my hands and forearms got a work out. The wood floor? When two type A people embark on a project that involves measuring, it is guaranteed to be challenging. The first hurdle, where to set up the miter saw. It was 107 here this week. Who knows what the actual temperature was in the garage, but it wasn't an option. The kitchen table appeared to be the next logical site. Of course when your kitchen is coated in a fine layer of sawdust, you lose all desire to cook. Three days of take out on top of eight weeks of BBA challenge breads, the pounds are adding up. The floor actually is easy to assemble. It looks great. But to achieve perfection, it required some exact cuts. Husband rose to the challenge. We spent two days crawling around the floor. Tom says that Pergo is like legos for grownups. I think it was worth it. The recovery from the project has taken a toll. The kitchen needed to be scrubbed. The contents of the bedroom need to be sorted to see if they really need to go back into the room. When it came time to knead the walnuts into the bread, I realized that the arthritis in my fingers had not enjoyed the weekend activities. My hands and knees are getting old. The loaf is delicious, I decided to follow the directions for the swirl and formed a 5 x 8 inch rectangle. I should have followed my gut and made a 5 x 12 inch rectangle for a better swirl. The big question is, what are you making to go with the corn bread?